David Robert Jones, better known by his stage name David Bowie, was a figure in rock and popular music for over five decades. As a was a singer, songwriter and actor, he was regarded by critics and musicians as an innovator, particularly for his work in the 1970s. His career was marked by reinvention and visual presentation, his music and stagecraft significantly influenced popular music. During his lifetime, his record sales, estimated at 140 million worldwide, made him one of the world's best-selling music artists. In the UK, he was awarded nine platinum album certifications, eleven gold and eight silver, releasing eleven number-one albums. In the US, he received five platinum and seven gold certifications. He was inducted into the Rock and Roll Hall of Fame in 1996. 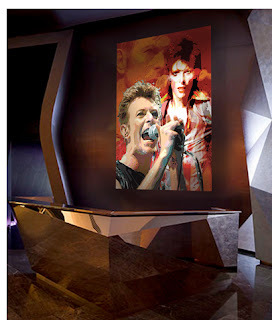 Born and raised in south London, Bowie developed an interest in music as a child, eventually studying art, music and design before embarking on a professional career as a musician in 1963. Space Oddity became his first top-five entry on the UK Singles Chart after its release in July 1969. After a period of experimentation, he re-emerged in 1972 during the glam rock era with his flamboyant and androgynous alter ego Ziggy Stardust. 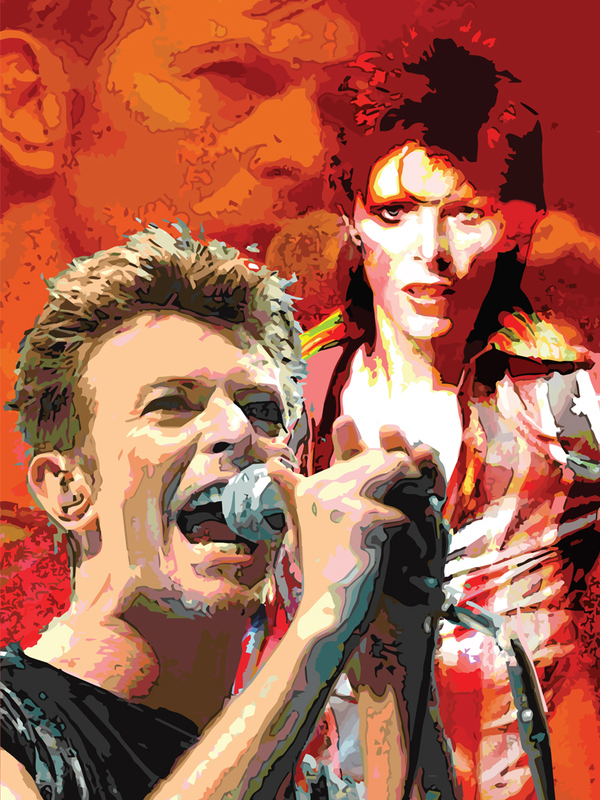 The character was spearheaded by the Starman and album The Rise and Fall of Ziggy Stardust and the Spiders from Mars, which won him widespread popularity. In 1975, Bowie’s style shifted radically towards a sound he characterized as “plastic soul,” initially alienating many of his UK devotees but garnering him his first major US crossover success with the number-one single Fame and the album Young Americans. In 1976, Bowie began a sporadic acting career, starring in the cult film The Man Who Fell to Earth. The following year, he further confounded musical expectations with the electronic-inflected album Low (1977), the first of three collaborations with Brian Eno that would come to be known as the Berlin Trilogy. Heroes (1977) and Lodger (1979) followed; each album reached the UK top five and received lasting critical praise. He stopped concert touring after 2004. His last live performance was at a charity event in 2006. In 2013, Bowie returned from a decade-long recording hiatus with the release of The Next Day and remained musically active until he died of liver cancer two days after the release of his final album, Blackstar (2016).